Marc Schaefer, MD, received his medical degree from Sackler School of Medicine – New York State American Branch in New York City. 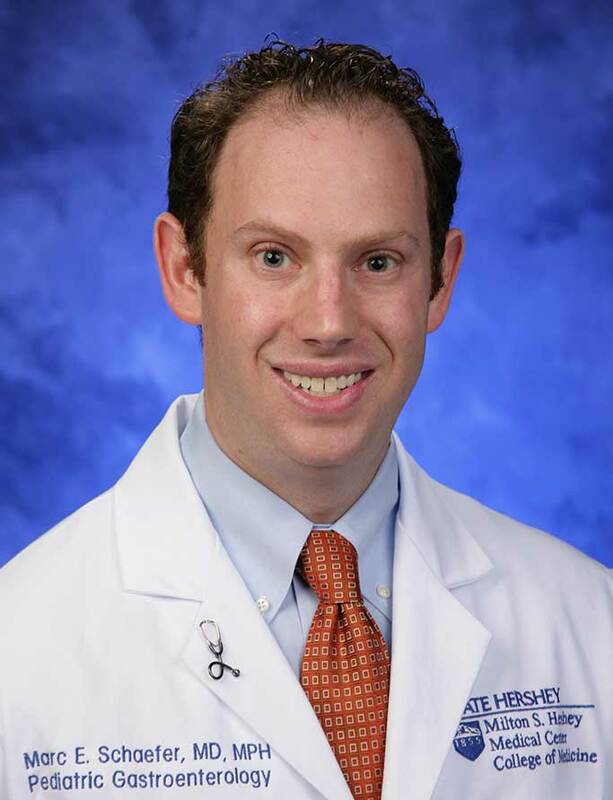 He completed his pediatric residency training at Maimonides Medical Center, Infants and Children's Hospital of Brooklyn and pediatric gastroenterology and nutrition fellowship at Brown University Medical School/Hasbro Children's Hospital in Providence, R.I. Dr. Schaefer is the director of pediatric irritable bowel disease (IBD) for the Penn State IBD Center. His research interests include IBD.